Together with James Watson, Francis Crick discovered the double-helix structure of DNA. This they did with the help of earlier research by Rosalind Franklin and Maurice Wilkins. Crick also developed the theoretical framework for understanding how genetic information travels in cells. Francis Crick was the eldest of two boys born and raised in a small village near Northampton, where his father and uncle ran a family boot and shoe factory. Crick developed a fascination for science and how life began at an early age. In part this was inspired by his grandfather, an amateur naturalist who corresponded with Charles Darwin and had two gastropods (snails/slug) named after him. Crick married twice, first to Ruth Dodd in 1940 with whom he had a son, and then to Odile Speed with whom he had two daughters. Crick initially attended Northampton Grammar School and then won a scholarship to Mill Hill School in London. In 1937 he went to University College, London, where he completed a physics degree and started a doctorate, but this was interrupted by World War II. In 1947 he was awarded a Medical Research Council studentship to pursue a doctorate in biophysics in Cambridge. This allowed him to join research teams first at Strangeways Research Laboratories and then the Medical Research Unit at the Cavendish Research Unit. He completed a doctorate in 1954 on the use of X-ray crystallography to study the structure of proteins. From the start of World War II to 1947 Crick was part of the British Admiralty Research Laboratory, where he participated in radar and magnetic mine development and then scientific intelligence. From 1949 to 1976 he was attached to the Cavendish Research Unit where he focused on unravelling the structure of DNA. In 1976 Crick moved to the Salk Institute in San Diego where he turned his attention to studies of the brain and consciousness, focusing on the interaction between neurons and various chemical processes in the body. Crick is most well known for his collaboration with Jim Watson, also based at the Cavendish, which determined the three-dimensional structure of DNA to be a double helix. Published in 1953, this work paved the way to new understandings of how genetic material is stored and copied allowing for new ways of looking and manipulating biological processes. 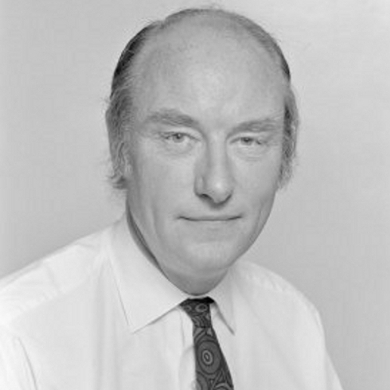 Awarded a Nobel Prize for this work in 1962, along with Watson and Maurice Wilkins, Crick also made fundamental contributions to unlocking the genetic code of DNA and providing a framework for understanding how genetic information travels in cells.